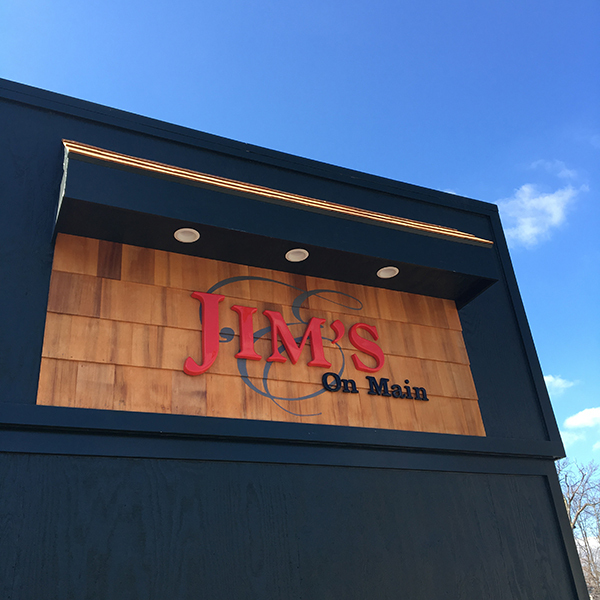 ljcfyi: Jim's is back in town! Jim's is back in town! Ten long months ago, Jim's Restaurant on Winton closed it's doors. 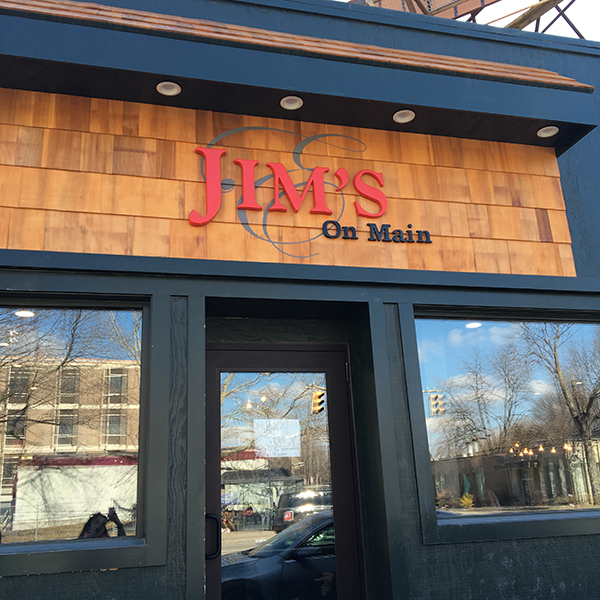 This week they reopened on Main Street at Jim's On Main. I have been checking and rechecking their Facebook page waiting for this great day! The old spot has been completely redone and it looks fantastic. 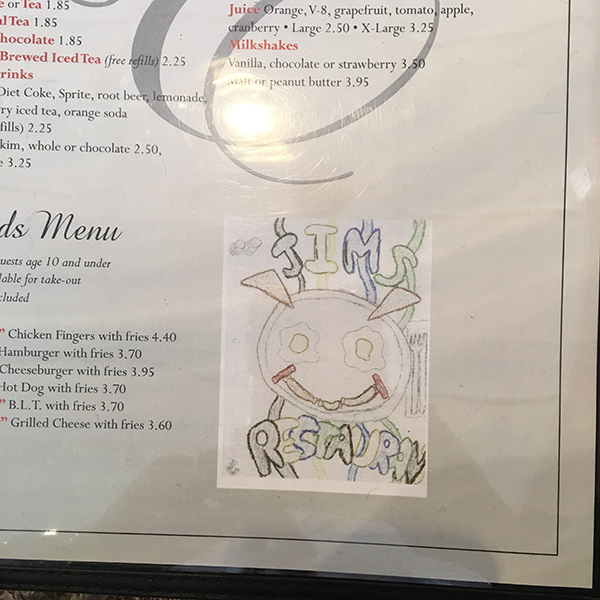 There are little shoutouts to their history though... like this little addition to the new menus... the funny drawing that was on the front of their old menus. 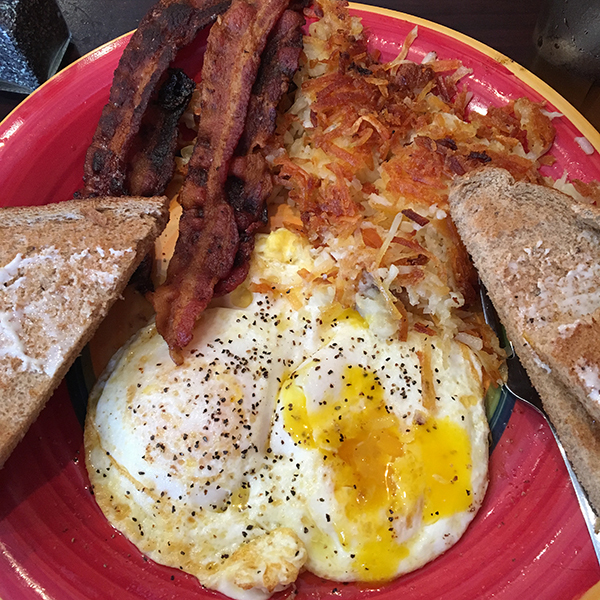 Hello eggs over easy and hash browns extra crispy. I've missed you so. 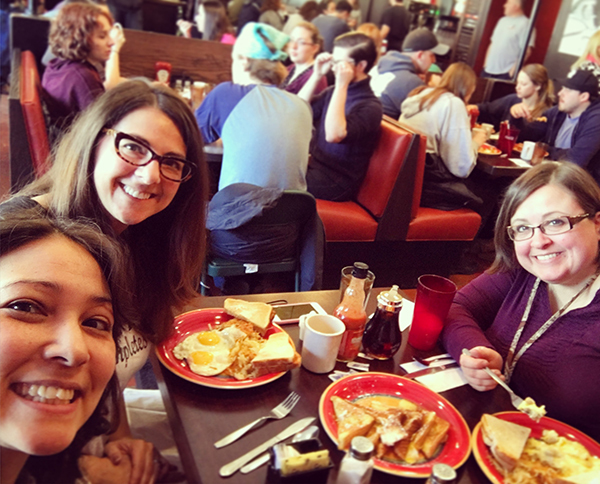 Poor Aaron had Naval Reserves this weekend so I had to call my peeps to go for brunch. I just couldn't wait another week to go! So happy Jim's is back!